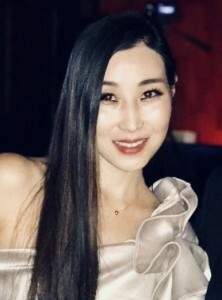 As the founder of Remember727 since 2008, Hannah Y. Kim has been dedicated to honoring Korean War veterans and promoting peace on the Korean Peninsula. She just completed a worldwide tour across 6 continents to thank and interview more than 200 Korean War veterans in 28 countries that participated in the Korean War, including North Korea. She will now embark on a tour across the United States. Most recently, Hannah was the Chief of Staff / Communications Director to Rep. Charles B. Rangel (D-NY), who served in the U.S. Congress from 1971-2007. During her tenure on the Hill, Hannah was proactively involved as former chair of the Board of Democratic Communicators Network (2013-2015) and as founder of the Congressional Yogi Association. She also drafted and ushered five bills into passage. She was recruited to work for Rep. Rangel after successfully spearheading the historic enactment of a bill that created a memorial day (7/27) for Korean War veterans on July 27, 2009. Hannah’s experiences span working at the United States Institute of Peace and the United States Peace Corps Headquarters, as well as being a published author and entrepreneur all before the age of 25. She studied at various institutions including the Seoul National University, Graduate School of Political Management at George Washington University, UCLA Anderson School of Management and Johns Hopkins School of Advanced International Studies. She has contributed to the CNN, Huffington Post, ChosunIlbo, Korea Times, Korea Daily among many other newspapers/blogs, and has appeared on numerous media outlets, such as C-SPAN, The Hill, Roll Call, AM The Answer (NY), tbs eFM ThisMorning, SBS, KBS, YTN, Yonhap, TV Chosun, Arirang TV, JoongAng Daily, and DongAIlbo. She is dedicated to volunteering on boards of several non-profit organizations, and can often be seen speaking or emceeing at various events. A proud pastor’s kid, Hannah remains committed to public service, lifetime learning, and fitness.